Cinnamon Rolls and Sticky Buns can take you back to a warm, special moment with just one, sweet bite. 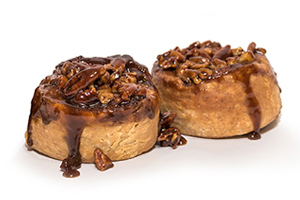 Our signature laminated dough ensures layers of soft, buttery goodness in each tasty swirl. With no proofing necessary you’re only 30 minutes away from fresh baked pastries and instant smiles.